You are here: Home / Weekly Columns / Opinion / Moto E5 Play Is the First Android Go Smartphone from Motorola. Moto E5 Play Is the First Android Go Smartphone from Motorola. 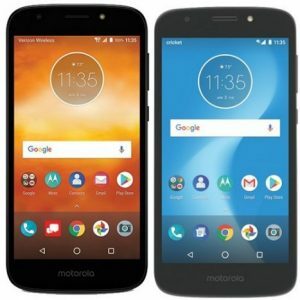 (ThyBlackMan.com) The Moto E5 Play with Android Go is Motorola’s first smartphone on Google’s lightweight OS. The entry-level smartphone runs on Android Oreo (Go Edition) and packs a few pre-installed applications. To reduce the stress on the device’s low-end hardware, the phone runs the optimized version of certain Google apps like YouTube, Maps, Gmail, Google Play, and Chrome. What else can we expect from this smartphone? Motorola, in the company’s official blog post, said that the Moto E5 Play Android Go features a 5.3-inch Max Vision display. The Max Vision display in Motorola phones is the same bezel-less display trend many smartphone manufacturers are following these days. The phone’s display offers 18:9 aspect ratio with sharp graphics. The smartphone will be available in two color options – fine gold and black. In terms of design and overall looks, the smartphone is not very different from the standard Moto E5 Play variants. The device includes a 5MP front-facing camera with flashlight. It also brings a discrete fingerprint reader on the back within the Motorola logo. The rear camera on the phone is an 8MP shooter with autofocus feature. Motorola has not confirmed how much storage capacity and RAM the Moto E5 Play Android Go features. We assume that the phone will come equipped with at least 1GB of RAM coupled with 16GB internal storage capacity. It’s unlikely that the phone will be released with more than 1GB RAM on board because Android Go is built for low-end devices. Having 2GB of RAM on an Android Go device is a mismatch, and it’s pointless because, with that much RAM and a low-end processor, it’s easy to run other mainstream Android versions. Other than the optimized apps, the new Motorola E5 Play Android Go phone has a built-in data saver to help you track and manage your data usage. Keep in mind that you will be having a few features on the mobile phone due to the optimized version of the Android Oreo 8.1 on the E5 Play. You won’t be able to use all the features of popular mobile apps because Google wants to deliver faster performance on devices with low memory and hardware power. For example, on your Android Go-powered mobile phone, you can’t control smart home gadgets. Only the standard features will be available on the phone. Google and many mobile application developers are working to deliver optimized app experience. So, in the future, you will see many developers building apps for Android Go. As far as gaming is concerned, it’s obvious that there will be some compromises. You can only play a limited number of games on Android GO, as for a lot of them, the E5 Play is not compatible. Demand for smartphones in developing countries is on the rise and Google doesn’t want to miss this opportunity. Google thinks that it can sell Android Go powered low-end smartphones to at least one billion users in these countries. Chinese companies like Xiaomi and Oppo have made huge profits by selling budget smartphones in countries like India. Xiaomi’s Redmi series phones, particularly the 5A is still in demand. This is the first time Motorola is trying its luck with an Android Go smartphone. The company’s new phone will not be available worldwide as the official statement clearly mentions that Motorola is planning to sell Moto E5 Play Android Go variant in the UK and Latin America. The budget smartphone market is a huge opportunity for smartphone manufacturers. Other than Xiaomi and other Chinese smartphone brands, Motorola will be competing with Samsung in this area. Samsung has already confirmed its plans for budget smartphones running Android Go. Motorola has confirmed that the Moto E5 Play with Android Go will be available for €109. With these many offerings from leading smartphone manufacturers, it looks like Google will achieve its goal of capturing the market in Europe, Asia, and the United States by delivering a new generation of smartphones that work faster and don’t cost more than $150.